Kevin is the Director of Making and a Research Assistant Professor in the Mechanical Engineering Department at Vanderbilt University. Through numerous interdisciplinary projects and collaborations, Kevin has built a multidisciplinary background that has grown to include mechanical design, materials science, advanced manufacturing, bioinspired design, human-centered design, robotics and medical devices. As Director of Making, Kevin brings his ‘making’ expertise to build and lead the school’s cross-campus makerspace initiatives and leads a team of student mentors to provide all students, staff and faculty with tools, training, and resources to create and innovate. In his role as a Research Assistant Professor, Kevin’s research explores new approaches to the design of robotic systems, including rapid prototyping from the micro- to the macro-scale and the use of active soft materials, as well as the manufacture and control of wearable robotic devices. Prior to coming to Vanderbilt, Kevin was a research engineer with the Advanced Technology Team in the Bioinspired Robotics platform at the Wyss Institute for Biologically Inspired Engineering at Harvard University. At the Wyss, Kevin worked closely with the Harvard Microrobotics Lab and the Harvard Biodesign Lab to build an internationally recognized soft robotics platform and has held several PI/Co-PI roles. 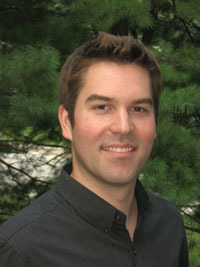 His work has appeared in numerous peer-reviewed publications and has led to 12 patent filings (3 granted, 9 pending) on topics ranging from medical devices to new manufacturing techniques and designs for soft robotic systems. He has been the recipient of several invention, entrepreneurship, and student mentoring awards including the Wharton Business Plan Competition, PennVention, and the Penn Prize for Excellence in Teaching. In addition, he is passionate about educating future innovators and has been a guest lecturer at Harvard, MIT, and MASSART, served as a mentor to the Weiss Tech House at the University of Pennsylvania, and currently mentors undergraduate and graduate engineering students.